LAHORE: A report released by Fitch Solutions on Wednesday said Volkswagen (VW) AG’s entry into Pakistan’s light commercial vehicle (LCV) manufacturing industry will improve its competitive landscape and compel producers to be more competitive in both quality and affordability. According to Fitch Solutions, it projected a 20% expansion in LCV production in FY19, after expanding 19.7% in FY18. It projected that growth will remain strong in the medium term leading up to 2022 with an average annual growth of 10.9%. In the long-term, it forecast the growth to slow and will suffer an annual contraction of 1.8% as demand for LCVs in Pakistan normalizes. In a comment to Profit, Samiullah Tariq Head of Research Arif Habib Limited said, “I think the growth projections of Fitch Solutions seem a bit aggressive. “With competition I believe, the price would remain competitive,” he added. 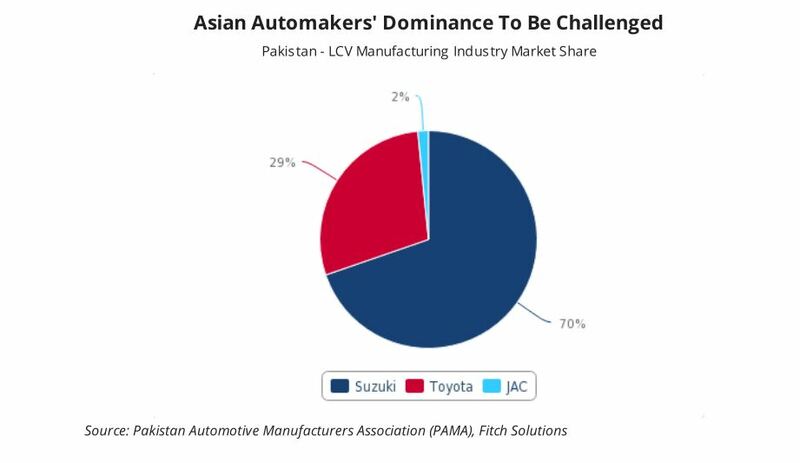 Fitch Solutions said presently there were three Asian automakers who hold market dominance in Pakistan’s LCV manufacturing industry Suzuki, JAC and Toyota. 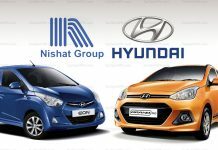 It added this indicates the weak current competitive landscape of Pakistan, but over the medium term it anticipated LCV manufacturers to enter the country, which will give consumers greater bargaining power. Talking about the agreement signed between VW and Premier Motors Limited to assemble completely knocked-down (CKD) light commercial vehicle kits in Karachi, it said the assembly operations would have three phases. “During the first phase, VW will assemble 28,000 units of Amarok and T-6, and in the second phase, their assembly line will expand to include the Caddy LCV. 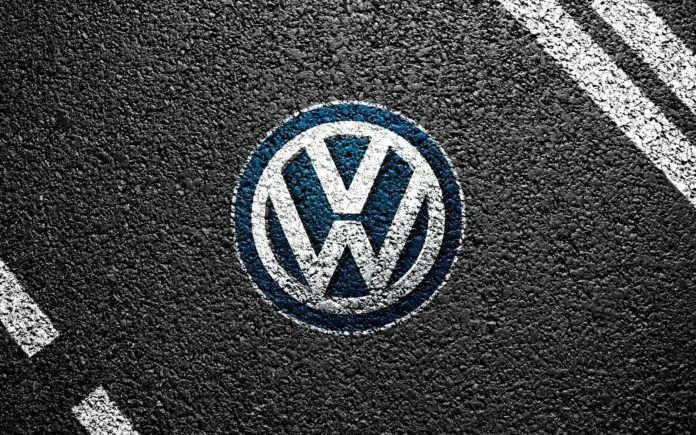 In the final phase VW will expand its range offering to include Skoda (VWs budget brand) branded vehicles in order to target a wider consumer base and to compete with the low-cost Chinese LCVs being offered in Pakistan,” said Fitch Solutions. 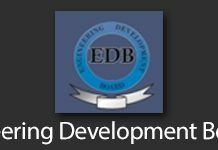 Moreover, Fitch Solutions said it had long held the view that the country’s Automotive Development Policy (ADP) launched in 2016 would lead to an outbreak of greenfield investment into Pakistan’s automobile sector and VW’s investment further serves to bear this out. It believes that the booming LCV market in Pakistan will provide an attractive sales environment for VW to come into with its new domestically produced vehicles. Fitch Solutions projected LCV sales in Pakistan to average annual growth of 8.7% over FY19-FY22, reaching a total of around 40,400 units by the end of FY22. “This will be fuelled by Pakistan’s growing construction industry, which our infrastructure team forecast to expand by an average annual rate of 9.4% leading up to FY2022. This will, therefore, lead to increased demand for LCV which will support VWs assembly plans in the country,” it added. 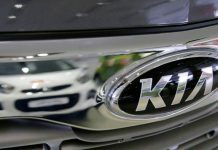 “VW’s entry into the Pakistani market follows a growing list of automakers including Kia, Hyundai and Nissan that have announced plans to assemble vehicles in the country, due to incentives that include reduced import duties on materials and equipment used by new manufacturing start-ups under the government’s ADP,” said Fitch Solutions. On Tuesday, Advisor to Prime Minister on Commerce, Textile, Investment, Industries and Production Abdul Razak Dawood said Suzuki is planning to invest $460 million for putting up a brand-new plant and manufacture an additional 100,000 vehicles a year. Pak Suzuki Motors is said to have procured 80 acres of land for establishing its second plant right next to its existing site.